Everlast Worldwide controls about 85% of the boxing products market, but when its site visitors couldn't locate a simple item like red boxing gloves, Mike Ebert, Everlast ecommerce director, knew it was time to make a change. 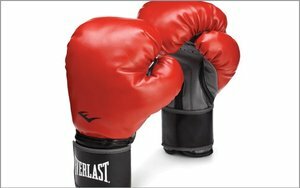 "That couldn't be further from the truth, because we have a ton of red boxing gloves," said Mike Ebert, Everlast ecommerce director. "We list the colors in the swatches, but not in the product name, so I think the Yahoo site search couldn't identify the product description, even when the color didn't appear in the name." Then his team dug into the numbers to discover between 3% and 4% of people engaged with search on the site, but only converted at 1.5%. A huge problem. As part of the company's increase focus on ecommerce, Everlast built a new Web site and tapped SLI Systems to improve its site search and merchandising strategy. "We went from 4% of visitors using and engaging with site search to 10%, and went from converting at .15% to between 1.5% and 1.8%," Ebert said. "Our regular traffic converts at about 1% and site search converts at 1.5%." About 10% of Everlast's site traffic interacts with the search function since implementing the technology about two years ago. The remainder of site visitors use navigation, a guided shopping experience, beginning at the top category level down to size, color and price. Everlast now gets a higher average order value from consumers who use site search, about $10 more on each order. Our AOV for people who don't convert from site search went from $97 to $107. Bounce rates fell to 31% for people who use site search, compared with 48% for people who don't. It took work in the beginning. The team set merchandising rules for search queries. They set up synonyms and like terms. Everlast, a fight sports brand, doesn't offer the amount of products as a fashion brand or regular retailer. New products only launch about once every six months. Ebert said Everlast will launch a mobile app in the fall, but will focus on lifestyle rather than ecommerce.